Geeky Ruth is having a tough time at her new school, Parkfield High. Things were fine at her junior school, but at Parkfield, if you’re not in a gang you’re nobody. Even her old mates don’t want to know her anymore, and bullies are making her life a misery. Enter Shayanne Sugar: the new girl. Shayanne is cool, collected and doesn’t give a stuff about any silly gangs. So Ruth is astonished and delighted when Shay pals up with her. It’s great to have a special friend, especially one whom bullies stay clear of. But why has the super-cool Shay been excluded from two other schools? Is there more to Ruth’s new friend than meets the eye? 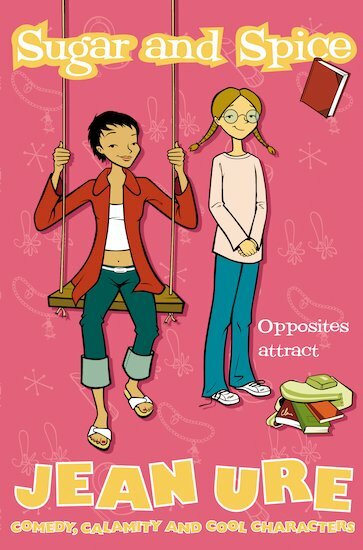 The latest insightful and witty story from the ever-popular Jean Ure is a must for any girl’s collection!